We’ve all had a moment where we’re standing in the grocery store staring down at two boxes. One is brand-name and the other, generic. You put one in your cart and walk away only to change your mind, come back and pick up the other option instead because usually, the price is lower. Back in 2009 AmazonBasics was, well, basic. It started as a selection of inexpensive electronics and batteries. Amazon focused on things like cables and other small, menial items for which customers don’t generally have a strong brand preference. For several years, that’s all AmazonBasics was. Then they decided to expand. The sheer amount of purchase data that Amazon collects provides all the information they need to succeed. They know what products customers are searching for, which listings they’re clicking on, and what products they ultimately purchase. If you had all that information, you could probably pick a winning product, too! Amazon also has the infrastructure and manufacturing chops to make the sale happen quickly and inexpensively. Amazon describes their AmazonBasics brand as “everyday items...at a value” which means customers aren’t expecting anything fancy, just something that’s affordable, dependable, and efficient. Amazon frequently adds new products to their AmazonBasics brand; however, they also quickly discontinue a line that isn’t profitable. This strategy, which Amazon hasn’t said much about officially, appears to be working well. In the nine years since AmazonBasics' inception, it has expanded to include thousands of products. So, how does this affect you as an Amazon seller? If you’re selling on Amazon in any of those categories, it's highly likely that you're directly competing with one of their products. While buyers are thrilled about the expansion of AmazonBasics, much of its success comes at the expense of other Amazon sellers like you. When Amazon sees a successful product climbing the best-seller ranks, they're likely to consider making a Basics version. Typically, Amazon sells their product at a lower price than their competitors, cutting into your profits. As AmazonBasics continues to expand it's likely to displace sellers who can’t compete with the marketplace giant. Take a look at these two laptop stands. They look incredibly similar to us. As Amazon adds more products to the AmazonBasics brand, it's also more difficult for you to receive an "Amazon’s Choice" designation, as Amazon gives this designation to their own products first. While the tag has many benefits for a listing (primarily the nice boost in sales), products with this designation are also the first choice for anyone buying with mobile voice search or via Alexa. With Amazon putting its products first, you must work to maintain brand loyalty and teach your customers to specifically ask for your products, rather than allowing Alexa to decide for them. Keep an eye on AmazonBasics to see which products they introduce, especially if you currently sell in one of their categories. As AmazonBasics expands, it could change how external sellers utilize the Amazon marketplace as they compete with Amazon itself. This isn’t a challenge that you have to face alone. You have access to the same data that Amazon does through MerchantWords. Our keyword data is updated multiple times per month, so you can track search trends for your product, related products, and your competition. 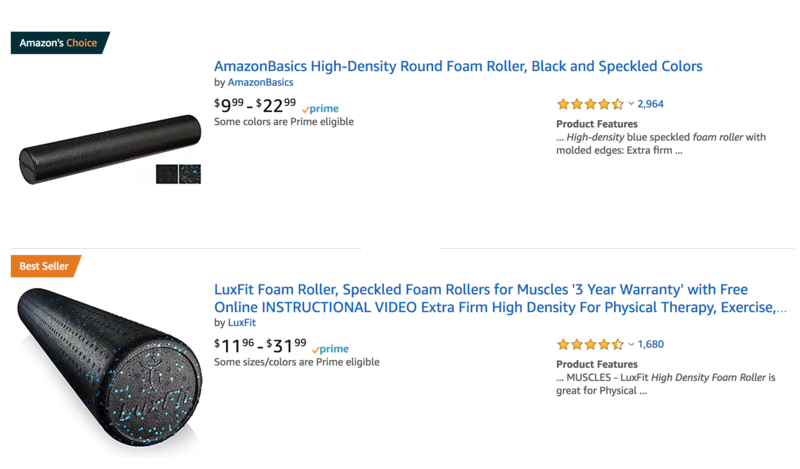 If you sell within the same category as an AmazonBasics item you can gauge its potential following as the direct searches increase or decrease. MerchantWords also gives you the search variations to help meet your customer’s needs. Customers are often looking for a feature that AmazonBasics doesn’t provide. Their electric kettle might be fantastic, but they have don’t have a gooseneck or glass option. By finding and recognizing these niches you can differentiate yourself and increase your profit margins. Another way to remain competitive against AmazonBasics is by providing the small things that keep your customer happy. AmazonBasics is a value brand centered on being inexpensive and utilitarian, but not everyone is satisfied with a product so basic. Ensuring that you solve any pain points left in the reviews of AmazonBasics products will result in a higher quality product and can justify a higher price point. You can also increase the value of your product by bundling (including an additional, related item with your product). For your electric kettle, that might be a travel mug or measuring spoon for coffee or loose-leaf tea. This small addition causes your listing to stand out from the myriad of others and, hopefully, gives you a leg up on the AmazonBasics product. MerchantWords is always working on tools to help you support your business. We have several beta programs that can improve your listings and increase your awareness of trends in the Amazon universe. If you’re interested you can join our beta programs here. With all that information and knowledge you’ll be running circles around AmazonBasics in no time!